Are the ITER systems and processes robust enough to manage the technical and project data for a program of ITER's complexity? Will quality information be made available to the assembly contractors on time? Is a system in place for resolving issues and implementing complex changes? These questions and more will be asked by an expert panel meeting at the end of the summer on ITER configuration management. The ITER Organization and the Domestic Agencies are preparing for a Council-mandated review of configuration management—the systems engineering process that allows the technical and project data to be managed robustly. Since the introduction of the new ITER schedule (part of the 2016 Baseline) the ITER Council has mandated a number of focused reviews of ITER management performance and progress. These are conducted by the ITER Council Management Advisory Committee (MAC), with additional experts if necessary. Following an in-depth independent review on risk management in June 2017 and a second on the freezing of interfaces for First Plasma systems, structures and components last November, the MAC is now planning to review ITER configuration management. Configuration management describes the processes, activities, tools and methods that are used to manage the full lifecycle of a project. Through this systems engineering process all functional characteristics are documented, consistency is maintained, and the project's deliverables are protected from unauthorized change. The fundamentals of the project's configuration management process were laid down even before the ITER Agreement was signed, when the report from the ITER Engineering Design Activities was issued by the ITER Council in 2001. In 2007 a global design review was organized to confirm the technical objectives and key design choices—an effort that resulted in the 2010 Baseline. In parallel, the framework to control the configuration was established as the ITER Configuration Management Implementation Plan. However during an internal assessment of ITER system design maturity in the last years, shortcomings were identified. The lack of resources, state-of-the-art tools, and specific competences for the effective implementation of systems engineering and configuration management were creating serious risk for the ITER Project. The Council also recognized the importance of having a single and central platform to manage the engineering data, documents and drawings. To this end, a Product Lifecycle Management (PLM) system was adopted in 2015 to support the management of the newly established baseline. Since then work on the PLM tool has advanced and—after a series of trainings delivered to most of the ITER Organization staff and key users from the Domestic Agencies—the tool is about to be deployed in full. The release will implement all basic functions needed to manage and evaluate proposed changes, track the status of changes, and maintain an inventory of system and support documents (for example, engineering dossiers). The PLM tool will allow project managers to have a global view of the four operating configurations, or "phases," that will punctuate the progressive commissioning of the machine. The in-depth independent review on configuration management—to be held in the second half of 2018—will assess where ITER is now and if a clear plan exists for the resolution of remaining issues. 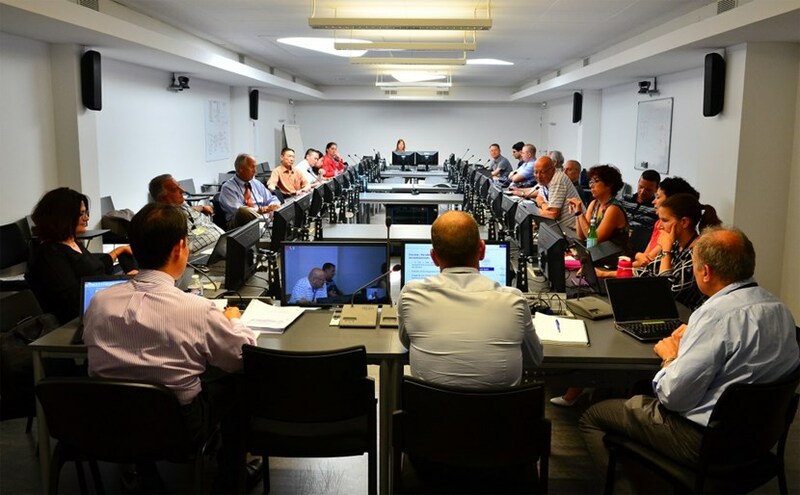 Staff members from the ITER Organization and the Domestic Agencies are participating in a joint preparatory group in order to prepare for this review in the best possible way. Some of the existing processes are being revised to adapt them to international standards and to better take into account the unique challenges of this first-of-a-kind project, the progressive commissioning of the machine (the "staged approach"), and the large volume of design and construction activities that are proceeding in parallel. Weekly meetings, bilateral preparations, several half-day discussions held remotely, and two in-person workshops are some of the many activities carried out by the preparatory group in the last six months. This work culminated last week with a workshop that gave all participants the chance to confirm common views, verify alignment between ITER and Domestic Agency processes, and to finalize a configuration management plan for the future. From this month, the MAC review panel will begin analyzing the information provided by the ITER Organization. The panel will make an on-site visit in late August, before preparing a report with recommendations for the MAC and ITER Council this autumn.